This afternoon, lawyer Zhang Junjie was the first of the four detained lawyers to be released from the Qixing Administrative Detention Center. 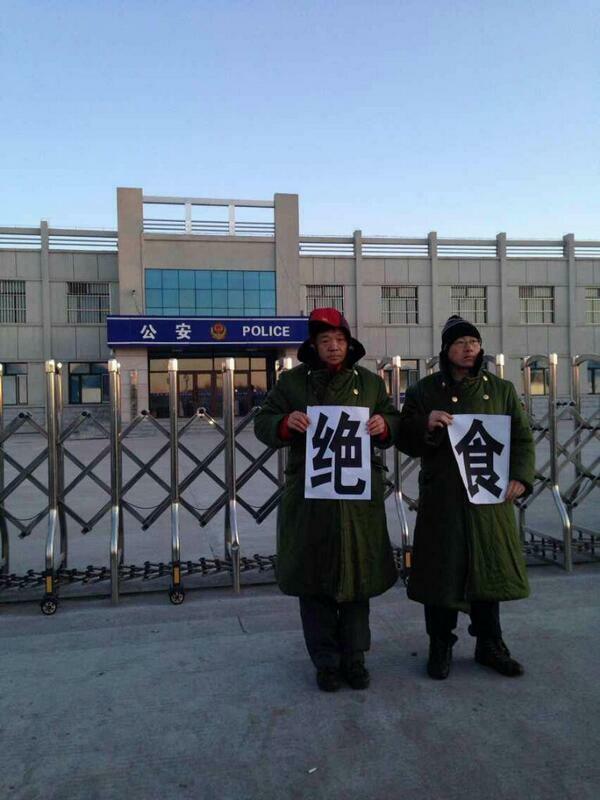 After a shower, he was driven by domestic security police to the airport in Jiamusi and put on a plane to Harbin. In a message, Zhang said that he had unbearable pain in his lower back. He intended to go back to Zhengzhou, Henan, to seek treatment and an expert evaluation of his injuries. He also indicated that he would file a report with the Henan Department of Judicial Administration and call upon the (provincial?) lawyers association to take action. Meanwhile, lawyer Cai Ying has been contacted by officials from the Hunan Department of Judicial Affairs, who have instructed him not to represent Tang Jitian. This act of intimidation is a sign that Tang's situation may be quite serious.